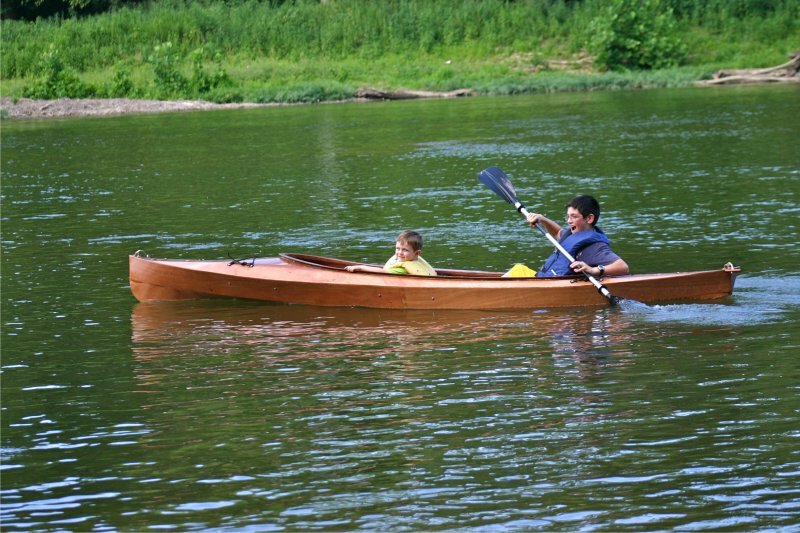 James McFadden, age 4, has a wonderful pilot in his 11-year-old brother Dominic, on this Chesapeake Light Craft 14′ Wood Duck Double Kayak. Dominic built it with a little help from his grandfather, Ned Farinholt. Dominic and James live near the Shenandoah River in Front Royal, Virginia.